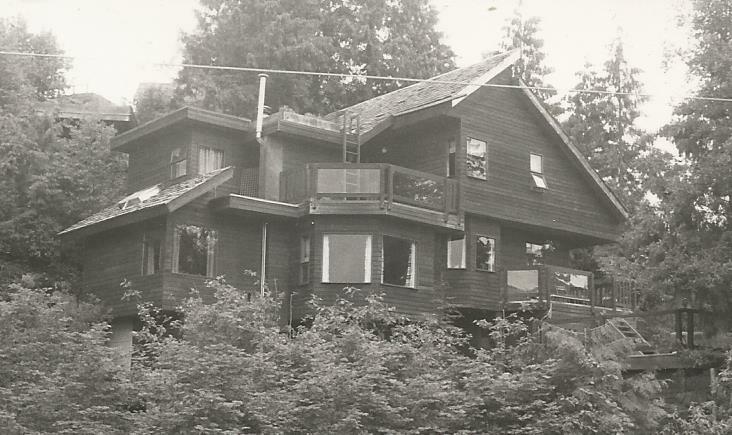 Our first house in Deep Cove, North Vancouver. We split the property and sold the upper section on condition that I design and build. In the end we designed and build four houses all linked on the rock side facing the Inlet. Our second home in Kelowna, B.C. overlooking the airport with a view to Kelowna one way and Winfield in the other. Roof and siding inspired by FLW.